History: The deHavilland D.H. 82 Tiger Moth was developed from the D.H. 60M Gipsy Moth. First flown in October of 1931, the D.H. 82 faced stiff competition to become the basic trainer for Britain's Royal Air Force (RAF). However, after the trials were held, the Tiger Moth emerged the clear winner, with 35 of the craft being ordered. Given that the Tiger Moth had not been the easiest to fly among the competitors, with a degree of sloppiness and slowness in response to control inputs, one wonders whether the design succeeded despite or because of those factors. Some have argued that those factors highlight poor piloting technique without seriously endangering the student pilot, a process that would enable instructors to identify and correct the fledgling pilot's deficiencies early in a training program. In any case, the Tiger Moth to this day exhibits the same flight characteristics of its early period. The first model, the D.H.82, was powered by a 120hp Gipsy III inverted inline engine, and was also sold to the air forces of Brazil, Denmark, Persia, Portugal and Sweden. 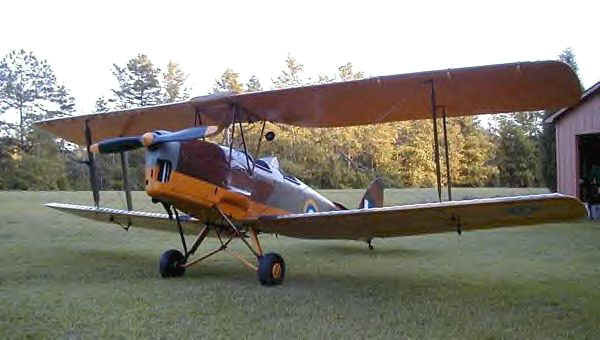 An improved model, the D.H. 82A Tiger Moth II, was equipped with a Gipsy Major engine rated at 130hp, as well as structural changes that included the replacement of fabric with plywood for the rear fuselage decking, and the ability to shroud the rear cockpit for instrument flight training. More than 8,700 Tiger Moths were eventually manufactured, with approximately 4200 going to the Royal Air Force, where it trained thousands of pilots for World War II service, and continued to serve the post-war RAF until 1951. 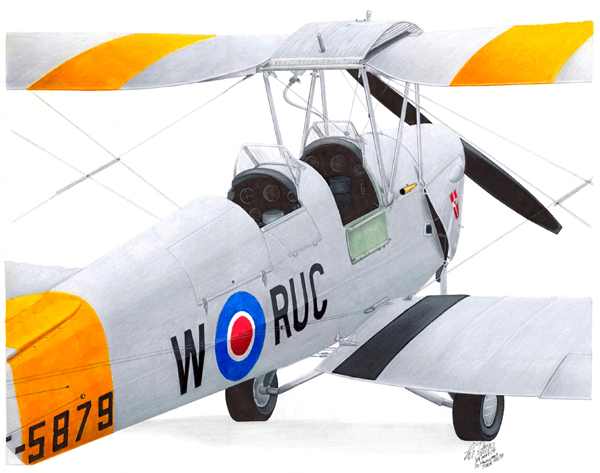 Now, long after its retirement from active service, the Tiger Moth is still actively delighting aircraft devotees in the UK, Canada, Australia and the US. Not very long ago, as D.H. 82 time is measured, one United States aviation magazine featured two articles, one about the Tiger Moth and its worldwide clubs, the other about an 80% scale reproduction version of the Tiger Moth in one issue. Whatever magic there is in having the wind whip by one's ears in an open cockpit, the deHavilland D.H. 82 Tiger Moth must have it in abundance, if one judges by the many aviation clubs around the world still dedicated to the aircraft. Weight: Empty 1,115 lbs., Max Takeoff 1,825 lbs. Airborne Aviation -- Tiger Moth flight training, and scenic / aerobatic / formation flights in Sydney, Australia. deHavilland Support Ltd., Duxford, UK -- Type design organization for vintage and classic deHavilland aircraft. DH Chipmunk.com -- Bob Morcom's great enthusiast's site. McLean Air Scoops -- Engine air scoops for Tiger Moth and Gypsy Major engines. 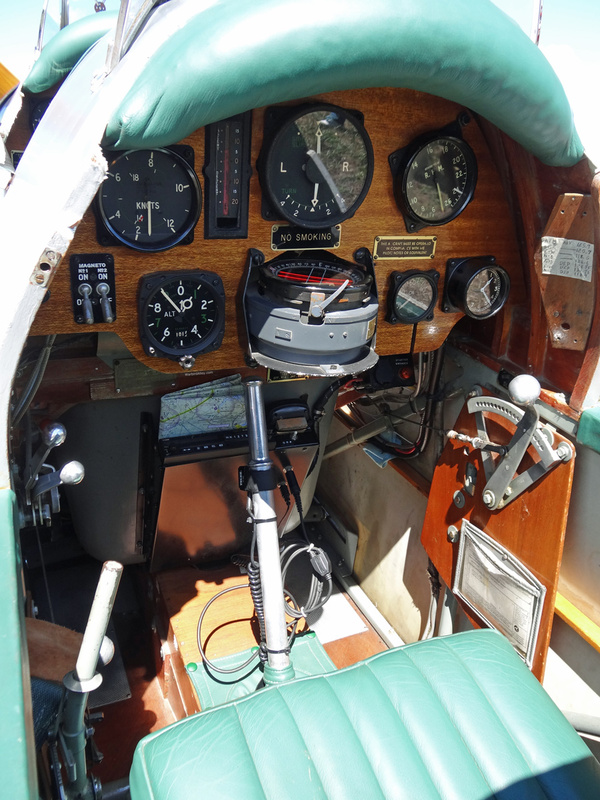 "On Yellow Wings: A Tiger Moth and a Summer's Day": Essay and pilot report by Rob Kostecka.